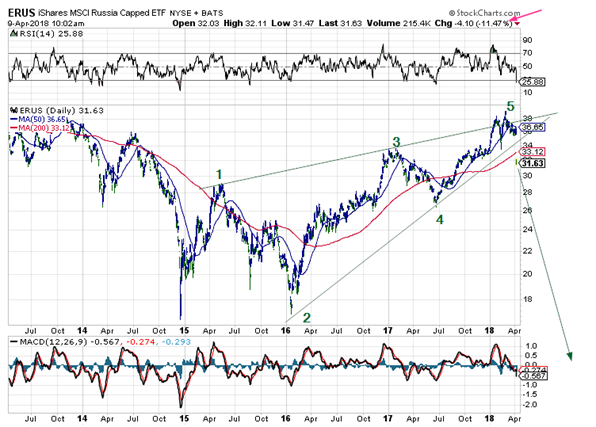 Russia’s stock markets may be in a bit of trouble. This particular proxy for Russia, ERUS, is down 11% in one day after recently peaking. 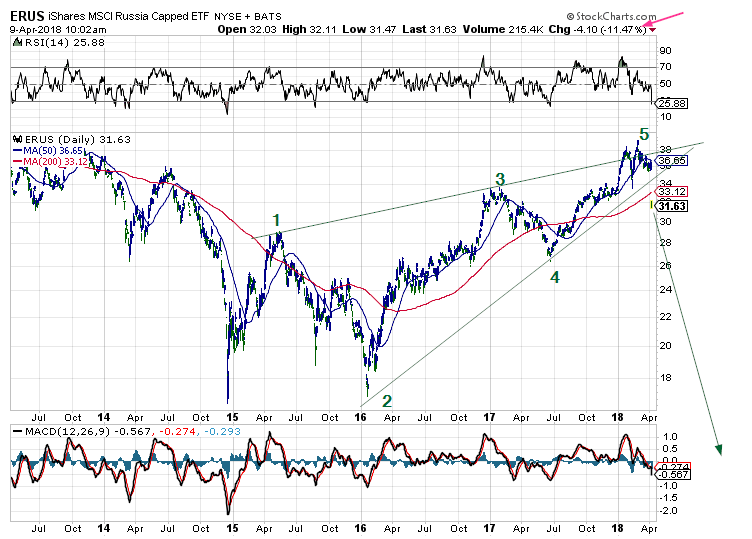 If the chart above is what it looks to be, that is a diagonal or wedge, it would not be unusual for the index to drop back to the low of 17 or even lower. That would be about 61%. Time will tell.